We live and interact daily in a digital world. Therefore, we are all digital citizens. But how we should act and behave in this world is not always clear, especially to our students. 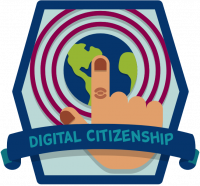 In this lesson students will learn about digital citizenship and how they can be safe and secure, as well as smart and effective participants in the digital world. They will gain an awareness of the rights and responsibilities of digital citizens, how they personally fit into the digital world, and how to embody healthy attributes of a digital citizen. Digital citizenship is a holistic and positive approach to helping students learn how to be safe and secure, as well as smart and effective participants in a digital world. This video explains the importance of digital citizenship education and offers advice on helping students manage their digital lives. 458 minutes – that’s how much time the average teen spends using media each day. This video explores how students can practice good digital citizenship skills all 458 minutes they’re online. 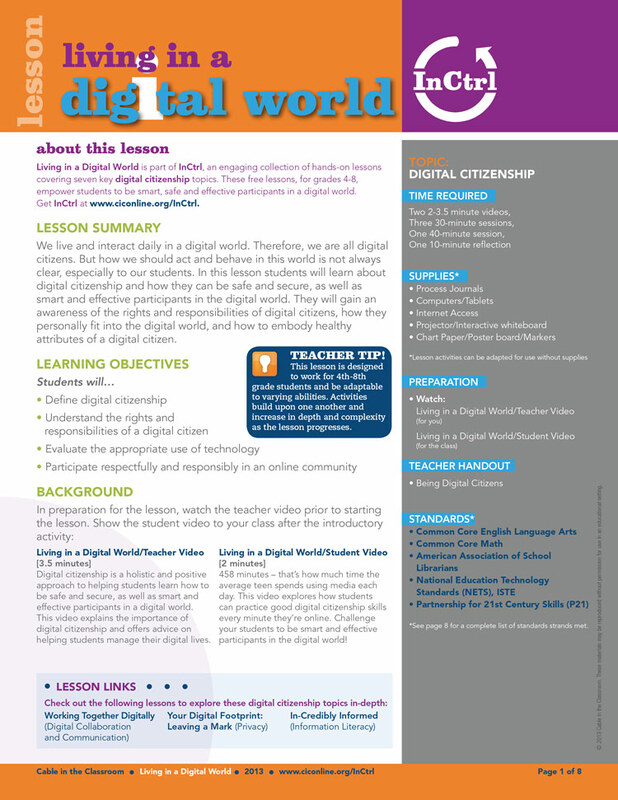 Challenges your students to be smart and effective participants in the digital world!